BSA offers children the unique opportunity to play teeball, baseball and softball as a fully chartered program under the Official Little League Baseball charter. Children play games on baseball diamonds with safe equipment under the direction of skilled volunteer coaches. Our next season begins in March and ends in June. Children under 7 years old play teeball and do not have an evening practice. Children aged 7 - 13 play baseball or softball and have one evening practice per week. 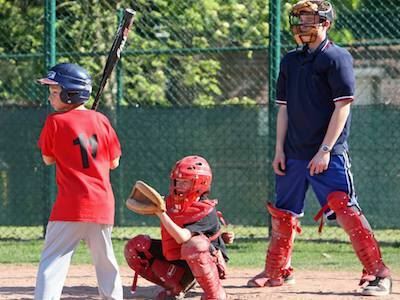 Our practices for all other leagues are at the International School of Brussels (ISB). 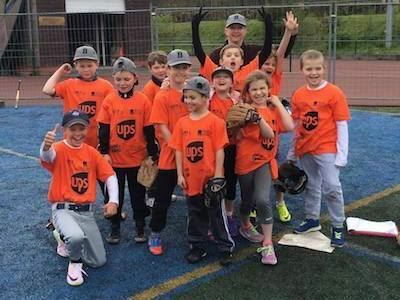 Your son and/or daughter is invited to attend free pre-season BSA Baseball/Softball/Teeball Clinics at the International School of Brussels (ISB). The dates of the clinics are on our registration page here. Your child is welcome to come dressed ready to be active and play some fun baseball. 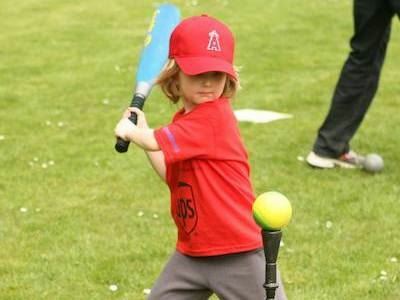 Teeball Baseball is for boys and girls aged 4, 5 and 6 who want to learn the fundamentals of hitting and fielding. In Teeball, players hit a ball off a batting tee. Rules of the game may vary to accommodate the need for teaching. The primary goals of Teeball are to instruct children in the fundamentals of baseball and to allow them to experience the value of teamwork. There are no weekly practices for Teeball. Practice and games will take place on Saturday from mid-April through early June. Boys and girls aged 7, 8 and 9 play baseball on a real baseball field using a pitching machine. There will be one practice per week on a day to be determined by field availability and the coach. There is one game per week on either Saturdays at ISB from mid-April through early June. The Girls Little League Softball Division (sometimes known as the Major Division) is for girls aged 10 to 13. There will be one practice per week as determined by the coach. Games will be held at ISB and at various locations throughout Brussels and its surrounding communities. The Little League Baseball Division (sometimes known as the Major Division) is for boys aged 10 to 13. There will be one practice per week as determined by the coach. Games will be held at ISB and at various locations throughout Brussels and its surrounding communities.